3 bedroom, 2 bath brick ranch. Property sold as is; proof of funds/preapproval letter with all offers; response to offers may take several days; sq ft not warranted; buyer responsible for verifying all utilities. 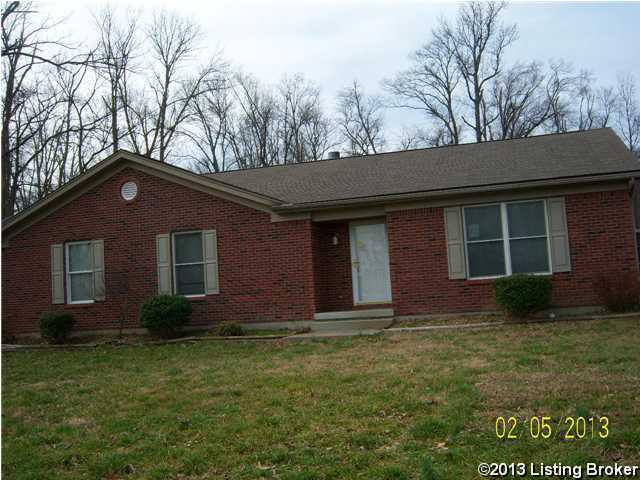 , Shepherdsville KY 40165 is a Home, with 3 bedrooms which is recently sold, it has 1,577 sqft, 0 sized lot, and Driveway parking. A comparable Home, has 4 bedrooms and 2.5 baths, it was built in and is located at 1832 W Hwy 44 Shepherdsville KY 40165 and for sale by its owner at $ 450,000. This home is located in the city of Shepherdsville , in zip code 40165, this Bullitt County Home, it is in the NONE Subdivision, and HEBRON ESTATES are nearby neighborhoods.